Normal lens featuring tilt and shift movements. The floating system and rear focusing give sharp and stable delineation from 0.4m to infinity. 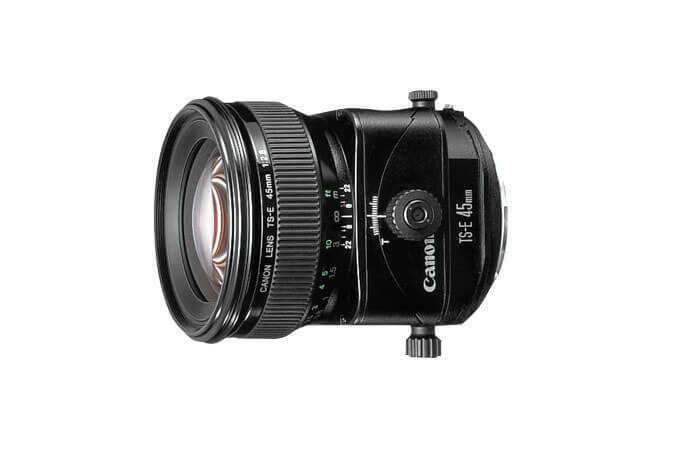 The 45mm focal length is ideal for obtaining a natural looking perspective. Tilt range ± 8°, shift range ± 11mm. Angle of revolution: 0 ±90°. Max. diameter x length, weight: ø 81 x 90.1 mm, 645 g/ 3.2” x 3.5”, 1.4 lbs.